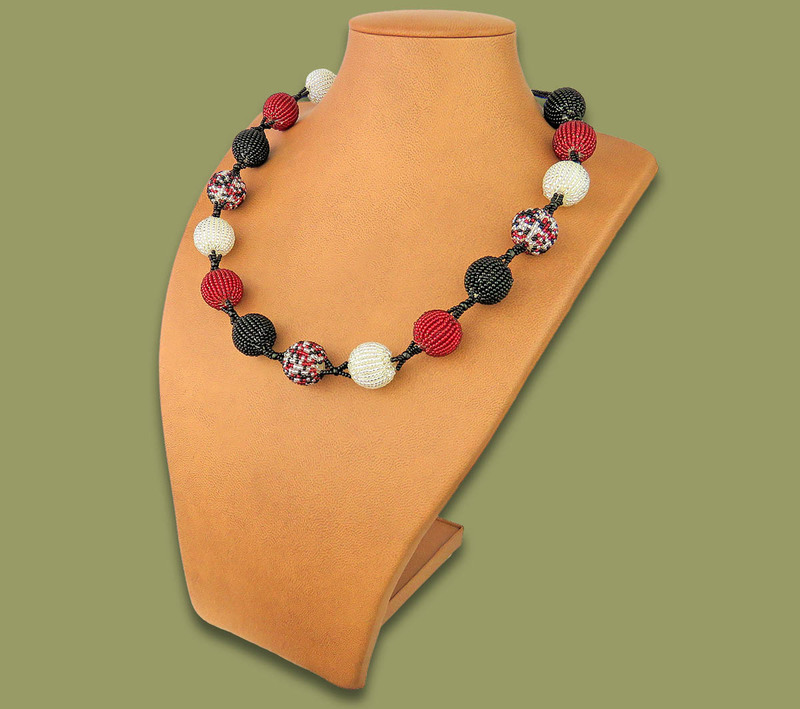 African Beaded Bobble Necklace - Red Silver Black. Hand made by highly skilled African Beadwork ladies from the rural areas of South Africa. The necklace is adjustable, varying in length between 55cm and 60cm. The bobble size is 10mm. This is a handmade African beaded necklace and all sizes and weights are an average and may vary slightly.